Banks want to earn your business — and they sometimes offer enticing checking account promotions to get it. You should always look for bank promotions when you’re ready to open a new bank account. If you already have a free, online checking account, consider opening another account elsewhere so you can earn a bonus. To make things easier for you, GOBankingRates has identified the best new checking account bonus promotions and bank offers available now. Check out the following chart and read through the list for details. Then decide on the best checking account for you. If you have $50,000 to deposit, the Citibank Citi Priority Account Package will waive its $30 monthly fee if you maintain that balance — and give you $500 if you open the account by March 31, 2018. To earn that money, you must maintain the $50,000 balance for 60 days. 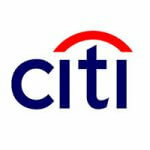 The Citi Priority Account Package is one of the rare bank promotions without direct deposit requirements for checking accounts. The account offers some attractive perks, like interest of up to 0.10 percent — based on your balance — 24/7 Citi Priority customer service, ThankYou Reward Points for banking activities and fee-free ATMs. The Citibank Account Package appears on this key bank promotions list because it offers a $300 incentive when you open the account by March 31, 2018 and complete a qualifying activity — you will have no direct deposit requirements. You can even open a bank account online, no deposit required, although you must add the $15,000 within 30 days to get the bonus. In addition, you must maintain a $15,000 minimum balance for 60 days. You’ll get the $25 monthly fee waived if you maintain that $15,000 balance — Citibank also waives it if you keep a $10,000 balance, but that does not qualify you for the new checking account bonus. 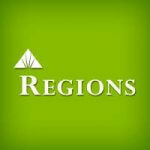 If you’re a new Regions Bank checking account customer, you can get a $200 bonus on LifeGreen checking accounts if you open one by March 30, 2018. Open your account online with promo code 200DIG18Q1 or get a voucher on the site and take it to any Regions branch. Once you’ve opened the account with at least $50, you must make 10 purchases with your Regions Visa CheckCard and schedule $500 or more in ACH direct deposits. Maintain a $1,500 balance to get the monthly fee waived. 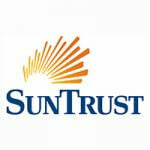 Sun Trust Select Checking offers a $250 bonus if you deposit $100 within 14 days of opening the account and schedule at least $1,000 in qualifying direct deposits. In addition, you’ll need to open the account and make at least 10 debit card purchases by April 30, 2018. Select Checking has several advantages, including the opportunity to earn interest, free mobile banking and access to more than 2,000 fee-free ATMs. The $15 monthly fee will be waived if you maintain a balance of at least $2,000 or qualify in one of several other ways — note that free checking account banks typically impose minimum balances. Open an account by April 30, 2018. Deposit $100 within 14 days. Schedule a minimum of $2,000 in qualifying direct deposits. Make at least 10 debit card purchases. 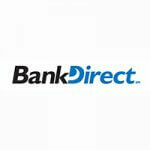 BankDirect has a new customer offer tailor-made for those who love earning miles on American Airlines. Open a Mileage Checking with Interest account with at least $500 and receive 1,000 AAdvantage Miles immediately — talk about a nice, easy checking account bonus. You can also earn more miles by setting up direct deposit or automatic bill pay, and you’ll receive 0.01% APY on your balance when you maintain a balance of at least $2,500. You’ll pay s $12 monthly fee for this one. Chase Total Checking offers $200 when you open an account by April 16, 2018, and if you open a savings account as well, you’ll get $400. You’ll need to set up direct deposit within 60 days. If you go for both bonuses, you’ll have to deposit at least $15,000 in your savings account and keep it there for at least 90 days. You can have the $12 monthly fee waived if you have monthly direct deposits of at least $500, maintain a daily balance of at least $1,500 or have a combined balance of $5,000 across multiple Citibank accounts. Again, requirements like these are typical for banks with free checking. 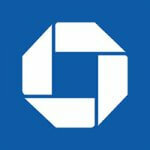 Get the Answer: What Is Chase QuickPay and How Do You Transfer Money With It? When you schedule direct deposits of at least $2,500 within 60 days, the TD Premier Checking account will reward you with $300. You can open this bank account online, no deposit required. 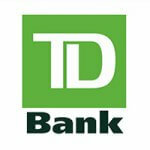 If you maintain a $2,500 balance, TD Bank will waive the $25 monthly fee. You’ll have access to live, 24/7 customer service, and you’ll get loads of perks, such as free mobile banking, money orders, stop payments, paper statements with check images and incoming wire transfers. TD Convenience Checking lives up to its name — TD Bank offers services like live, 24/7 customer service and free mobile banking to make it easy to bank on the go. And right now you $150 bonus for opening a TD Convenience Checking account. To qualify, you’ll have to schedule at least $500 in direct deposits within the first 60 days. The bonus is a draw for this account and so is the low, minimum daily balance requirement of $100 to waive the $15 monthly maintenance fee. Chase Premier Plus Checking will give you a $300 bonus just for being a new customer and opening your account before April 16, 2018 with a deposit of at least $25. You’ll need to schedule a direct deposit to the account within 60 days. Another bonus: You’ll earn 0.01 percent interest on your account balance. Methodology: GOBankingRates.com identified the best checking account bonuses and promotions by analyzing 1) minimum deposit requirements; 2) monthly fees; 3) minimum balance requirements; and 4) promotional offers. All fees and rates are accurate as of March 4, 2017 and are subject to change at the banks’ discretion. And some bonus offers may or may no longer be available on the banks’ websites, depending on how you access the web page.